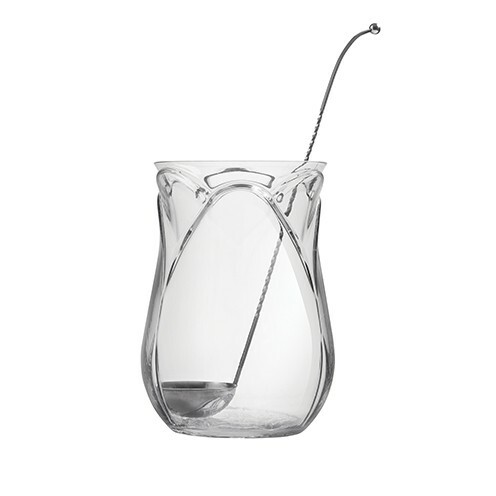 This Tulip Punchbowl and Metal Spoon 400cl is an innovative design, ideal for summer parties. The shape of his iconic design was inspired by the tulip, which was one of the most expensive items to buy during the 1600’s. Thousands of guilders (Dutch currency) were paid for a single flower, reaching a peak in 1637 when 6000 guilders were paid for the Semper Augustus. At the time that amount of money could buy you a big mansion on the famous Amsterdam canals. So, in the era of the punch the tulip stood for all that is luxury. Looking to buy some Punch Bowls and Barrels ? If you would like some advice on purchasing Punch Bowls and Barrels , simply contact our expert sales team, giving us either an email or phone number on which to contact you and we'll get back to you with the best advice or contact us by email: [email protected] Phone: 020 8424 8886.